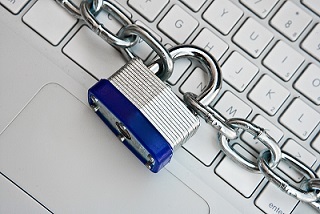 At Clearview Wealth Management, we take the safety and security of your personal information very seriously. It is essential in today’s global, wired world to protect yourself and your private information. As we witness almost every day in the news, scams and hackers continue to threaten the security of our personal information. Below are some areas to consider when enacting better protection over your personal information. Don’t use combinations of your personal information (names, date of birth, address, zip codes) as these are available to the public online. Use phrases like “I attended 1st grade at Edinboro Elementary in 1999”. For some sites you can use the entire phrase, but if not, you can abbreviate it to something like “Ia1gaEei#1999”. If available, use your fingerprint, key fob or voice recognition as your password. Secured login to your financial institution website, including complex passwords, security questions and voice recognition security. All wire requests from client accounts require advisor authorization to assure these are legitimate requests. 2-factor authorization – provides an additional layer of security to protect if a log-on attempt is made from an unfamiliar device. This method typically sends a text to a predetermined mobile device with an additional entry code before log-on is allowed to continue. Secure vault for transfer of client paperwork containing personal information. Passwords for linked accounts are not accessible by your advisor, further protecting your access. Put travel notices on your bank accounts and credit cards. Pay attention when you are using the ATM. Protect your PIN password from view and look carefully at the card reader to ensure a skimmer hasn’t been attached. Guard your passwords carefully. Use tips from above in choosing passwords. Beware of links embedded in emails. Especially when dealing with financial sites like banks, credit cards, or the IRS you should always open your browser and go directly to the known site. If your email has been hijacked, contact all financial institutions immediately to place an alert on your accounts. Use Caller ID and don’t answer unfamiliar phone numbers or Unavailable numbers. If it is important they can leave a message. Don’t fall prey to scammers who pretend to be from Microsoft or the IRS or Social Security. The scammers are relentless once they have you on the phone and prey on your emotions by threatening you and demanding immediate payment. There are three major credit reporting bureaus; Transunion, Experian and Equifax. You should periodically review your credit report at each of these agencies to ensure there are no suspicious records. You are entitled to one free credit report per year from each agency, so by cycling through them over the course of a year, you can check your report three times.